Home » Shop Sale » Wearing Heaven's Holy Gems - The Saints! My girls and I like to wear medals - all kinds of saint medals! But when you hang a medal on a necklace it often looks so lonely. By itself, it seems so easy to over look and can appear not very classy. But recently I had an idea... My girls all love charms! They like the tiny, cuteness in these shiny miniatures. So why not combine medals and charms together to make a jewelry statement that is eye catching, beautiful, and meaningful? My girls just love these! So I'm making some more of them to sell on my Etsy shop. I thought you might like these, too. I named the new charm/medal jewelry "Saint-Symbol Jewelry" because all the charms are symbols that relate to the saint medal that they are with. 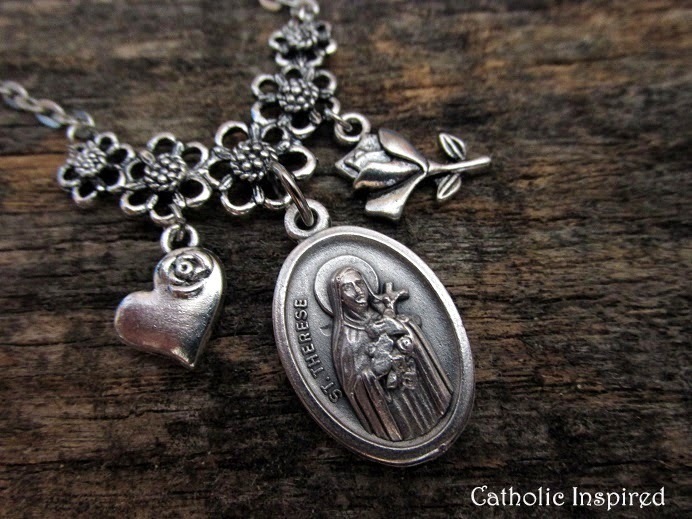 The St. Therese Necklace includes a 5 flower connector, a rose, and a heart/rose charm. I think they just look so gorgeous together! 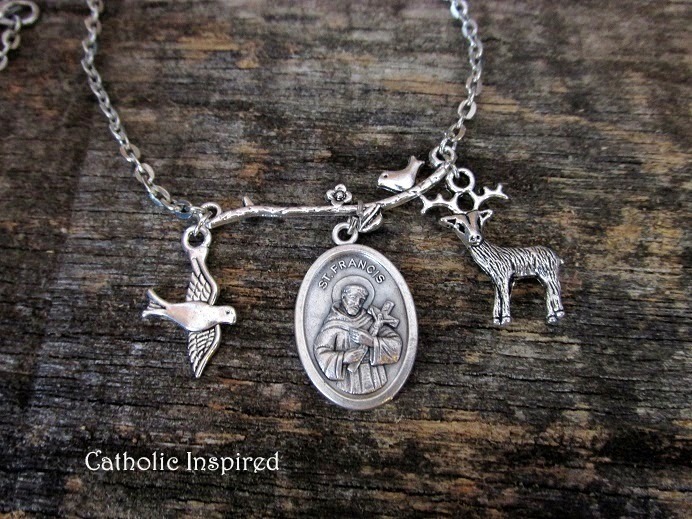 St. Francis is hanging on a dainty looking branch with his woodland friends. It's makes you feel so peaceful! 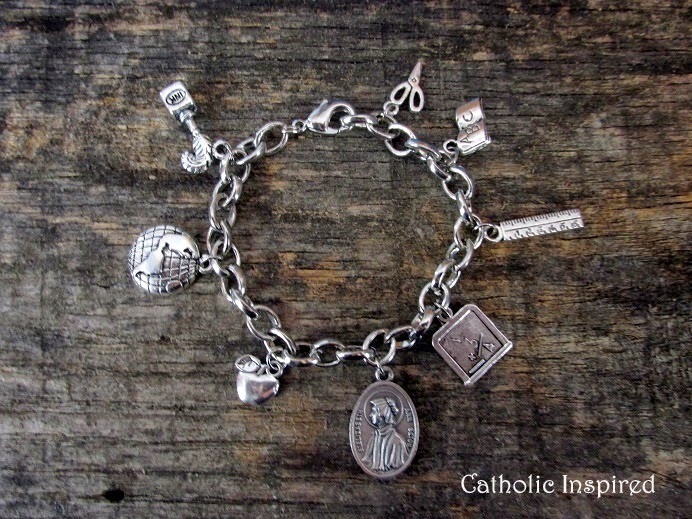 The St. Elizabeth Ann Seton Charm Bracelet has a school theme. Look at all those cute little school charms!! 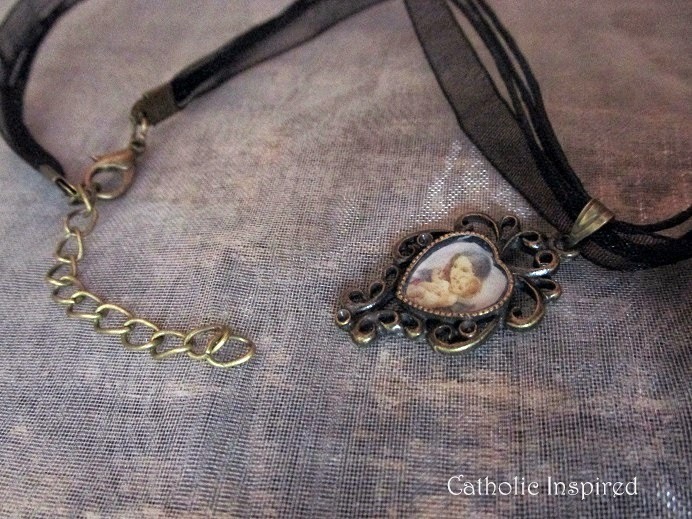 The St. Gerard bracelet is perfect for a mom-to-be or a pro-life advocate. It includes lots of baby items and a pro-life rose! 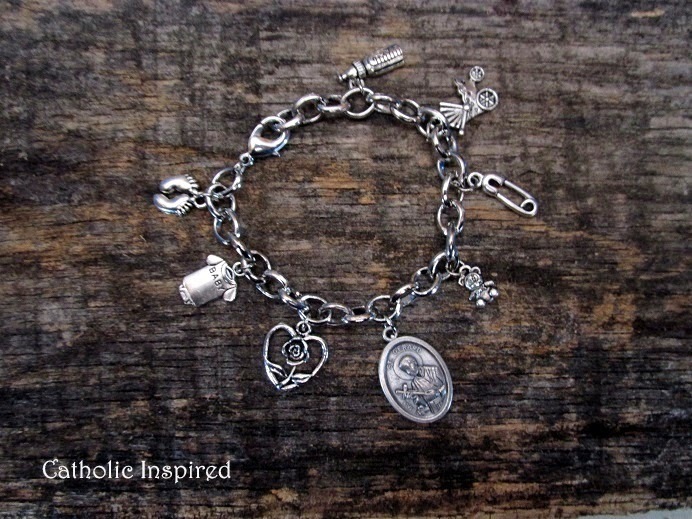 Here is the charm bracelet with a First Communion theme. 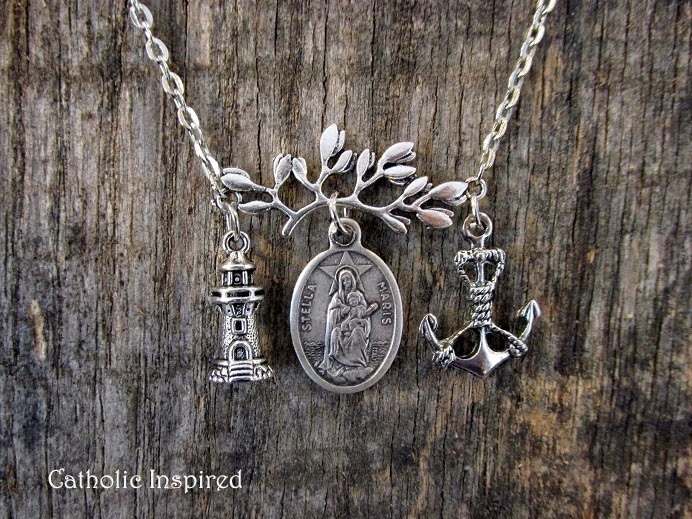 It has a church, wheat, chalice, grapes, Bible, wheat cross, a Blessed Sacrament medal, and a 2015 charm to commemorate the year that your daughter/granddaughter/niece received her First Communion. 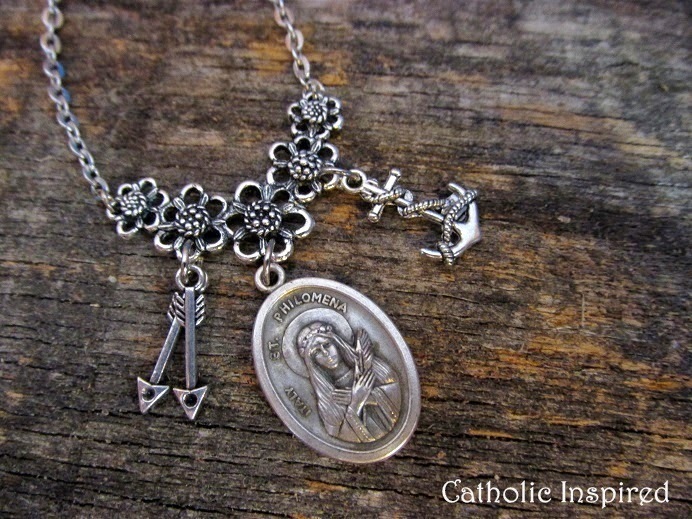 On this necklace, St. Philomena is flanked by two of her symbols of martyrdom. 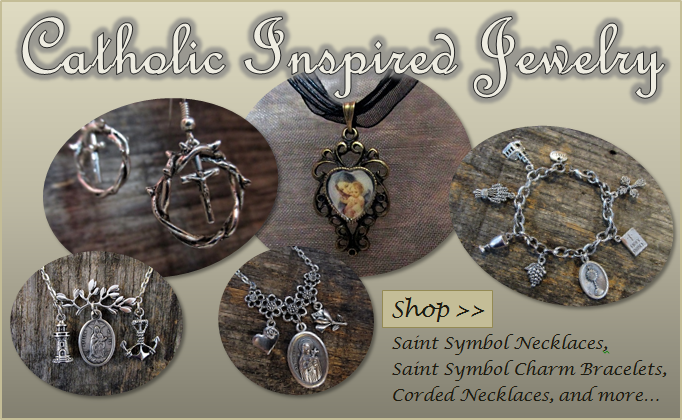 There are more Saint-Symbol Jewelry listed in our Etsy shop. Drop in to see them all ... I will be adding more! While you are there you also might like to see our other Jewelry gems. 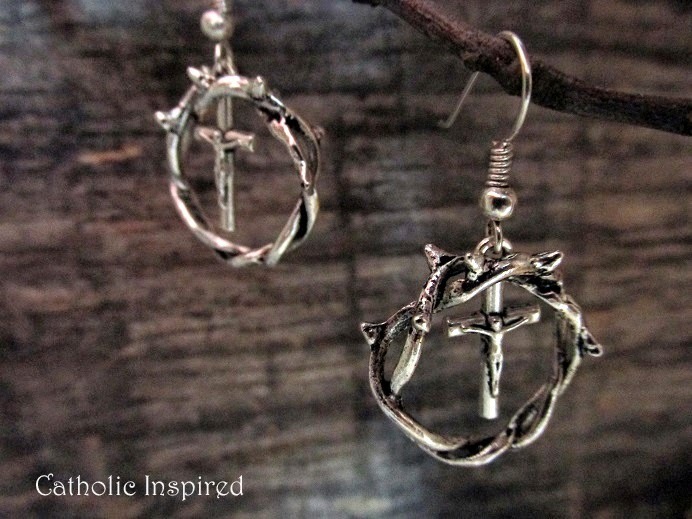 Above is a pair of earrings which are a crown of thorns and a crucifix. 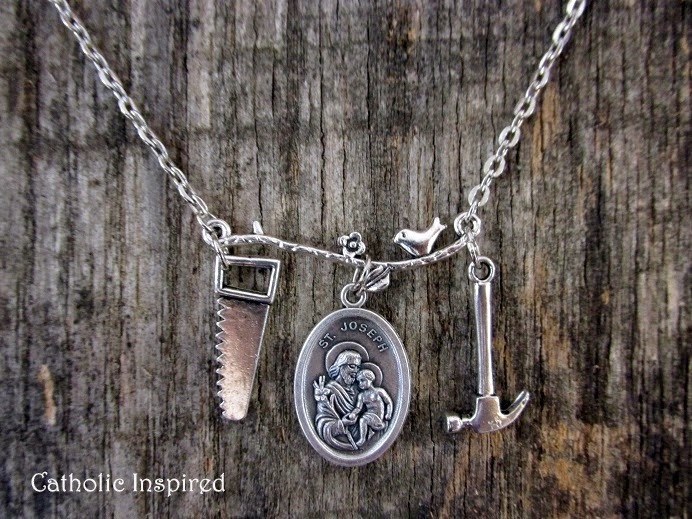 We also are selling a matching necklace! My oldest daughter Rachel designed these. Click Here to see them. You might like to look at our corded necklaces, too!! We have two different Mary images available. Click here. I have been blessed to have wonderful followers such as you. 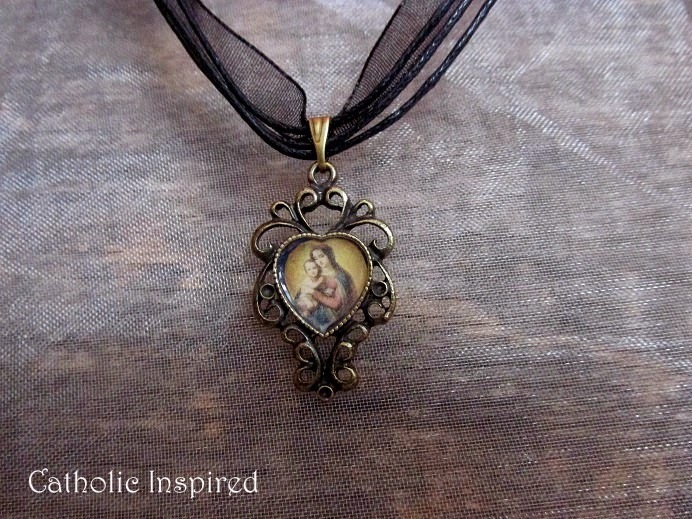 I would like to share that blessing back by offering 10% off your purchases of $25 or more. 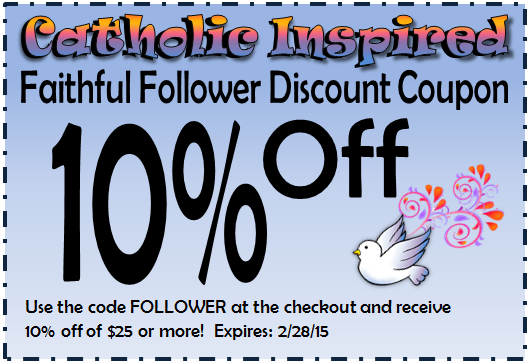 Use the code FOLLOWER at the check out. This code is good for all items in our Etsy shop! Check out our Etsy shop to see the entire collection and visit often, because I will be adding more! We have lots of items which would make great gifts for First Communion, Easter, Mother's day, and birthdays! May God Bless you all with a wonderful joy-filled day! 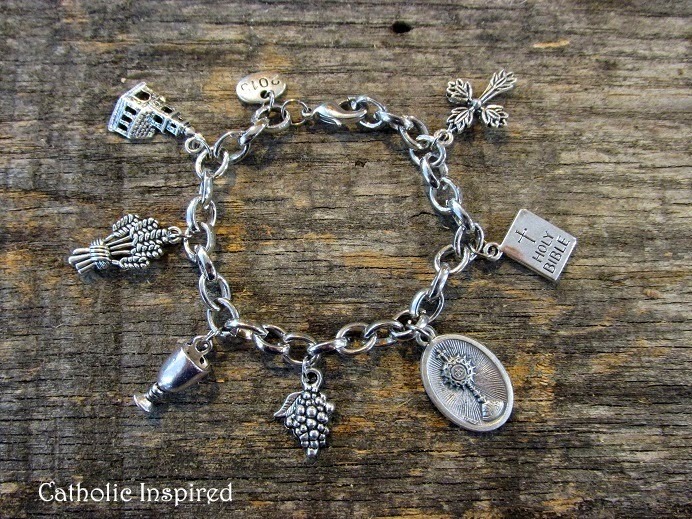 Oooh, I've been wanting charm bracelets like this for a long time. May God bless your endeavors! Oh, wow! Thanks so much Tracy!! Love the SaintNook site!